Did this year's budget go far enough for people or maybe not far enough in preparing for the expected downturn? In simple terms, everyone is getting a fiver a week from it, but the conservative, something-for-everyone-nature of the budget should come as no surprise. Joining INM's Group Political Editor, Kevin Doyle and Deputy Political Editor, Philip Ryan, to discuss the measures, impact and implications were David McNamara, Director and Economist, EY DKM Economic Advisory and Stephanie Bowe, Tax Director, People Advisory Services, EY Ireland. "The focus should have been more on income tax than the USC. 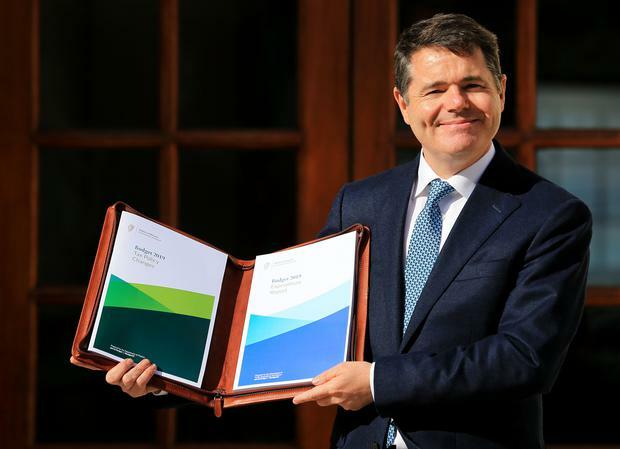 We’re not competitive compared to our OECD counterparts," said Bowe while McNamara cautioned that the debt pile is still too big, despite the addition of the rainy day fund. Meanwhile the B-word was the most mentioned word in Paschal Donohoe's speech yesterday. "It's very difficult to prepare for Brexit when we don’t even know what it will be yet," says David McNamara. "The government needs to run a bigger surplus next year and should be more cautious for any potential impact." One eye, it seems was on an election, with the Philip Ryan and Kevin Doyle believing a December election could be on the cards. The Floating Voter Budget Series is in association with EY and to see how Budget 2019 affects your salary go to EY’s tax calculator. iPhone users can subscribe to the Floating Voter on Apple Podcasts. While Android users can subscribe via SoundCloud.